Our Funeral Directors are extremely compassionate, professional and detail oriented. Call them anytime to set up a meeting or to discuss your unique funeral arrangement needs. We’ll come up with just the right plan for your family’s particular situation. Commonly called “The Arrangement Conference” you may meet with a Director at our Chapel in Greenwich Village. At the beginning of the Arrangement Conference, you will be provided with a copy of our General Price List. Every service or item we offer with its cost is contained within. Our directors will guide you in your arrangements so that your cost will be within your means and the service that you plan will be meaningful. Additionally, the type of service you wish will be discussed. Chapel, church, synagogue or graveside services are usual options. It is important for those interested in a burial to know that embalming, is NOT required by law in New York State, unless a viewing takes place. A dignified selection of Caskets, Urns and Vaults are available for your inspection – on premises – along with the Andrett Funeral Home Casket Price List and Outer Interment Receptacle Price List catalogues to show the specifications and cost of each item. If you do not have Cemetery property our Directors will provide information on your options. With the passing of a loved one, there are many questions. Will the deceased be dressed in their own clothes, clothing purchased from us or a shroud? Do you have a Minister, Priest, or Rabbi? Our Director will guide you. 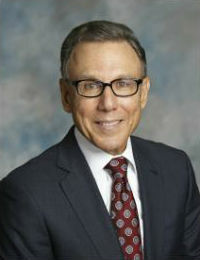 A licensed N.Y. State Funeral Director since 1971, Peter has served as owner and CEO. A native New Yorker, he has utilized his entire career to coalesce the most advanced staff, the finest facility and the highest principles of funeral service. He has dedicated himself to serving countless individuals and families that have experienced loss, while providing them a comfortable atmosphere of compassion and professionalism. With these ideals, Peter has personally taught each of his staff to carry-on premier standards. 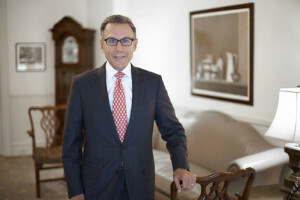 A persistent advocate for the communities of the metropolitan area, Peter serves on many non-profit boards and has been honored by the City Council of NYC, The Caring Community, The Children’s Aid Society, Greenwich Village – Chelsea Chamber of Commerce, The American Legion and most recently was named “A Legend of the Village” and received the Humanitarian Award by VillageCare.org for community service. 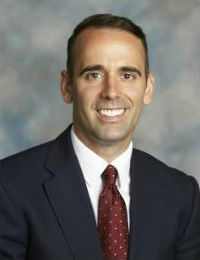 Currently, Peter serves as a board member and is President of the Metropolitan Funeral Directors Association. Gregory joined our team in the spring of 2011 and is a resident of New York City. He attended Hudson Valley Community College in Troy, NY, where he studied mortuary science. Subsequent to mortuary school, Gregory attended the University at Albany and Empire State College. Gregory began his career in 1997 was licensed in New York State since 2000, and has been continuously employed in funeral service. He first served as a funeral director and manager in his home city of Schenectady, NY, prior to his move to New York City. The consummate professional, Gregory has a volume of experience and is credited for his attention to detail, competence, and compassionate demeanor. His dedication is unsurpassed. Jennifer was born and raised in New York. 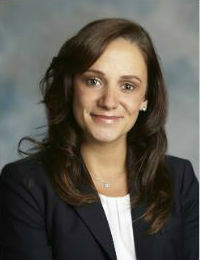 She attended American Academy McAllister Institute of Funeral Services in Manhattan, graduating in 2007. Known for her warmth and compassion, Jennifer epitomizes the professionalism and trust that evokes the spirit of the company. She served her residency and career as a funeral director with the Greenwich Village Funeral Home and has quickly become part of the fabric of the community. 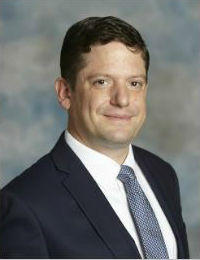 Born in Washington State, Joel has lived in New York City for the past 14 years and joined the firm in 2002. Having attended and graduated from the American-McAllister Institute of Funeral Service in Manhattan, he served his residency and his career as a funeral director at Greenwich Village Funeral Home. Joel brings a quiet dignity and sincerity to all he serves. His genuine demeanor and humble manner makes everyone he meets feel comfortable and at ease.